Scientific study confirms that noise or too much sound has effect in people’s well-being and in health. Noise can also affect the ability to concentrate and in some worst scenarios it may even cause pain and hardness of hearing. If you want to reduce the noise or sound inside your office, one of the best things that have an excellent sound absorption capability is carpet. Carpet is a floor covering made from thick woven fabric. It has wide choices of fabrics, colors, patterns, designs and styles that will fit in any type of interior. Most of the homeowner and offices choose this type of flooring because it can transform your place from more fashionable and attractive place. 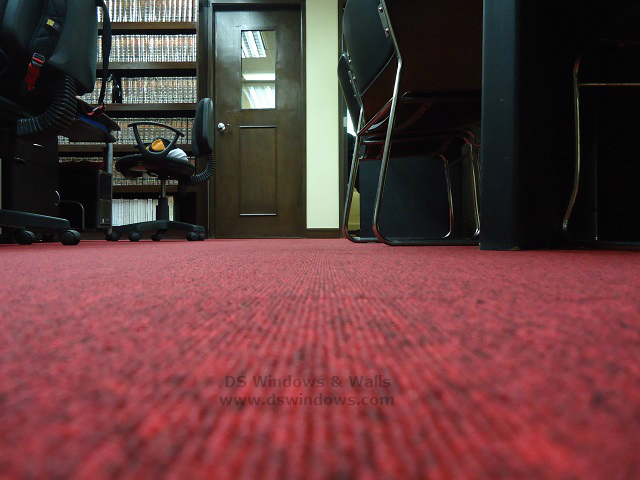 Our client who owns a law office in Ortigas Center, Pasig, Metro Manila, Philippines opted carpet to make their room more livelier and also to reduce the sounds of some falling objects and loud footsteps that can destruct them from working. Especially at their field of work, they are handling some serious cases and a lot of concentration is require. Carpet can also bring comfort because of its softness that can give a pleasantly and warm feeling to everyone. 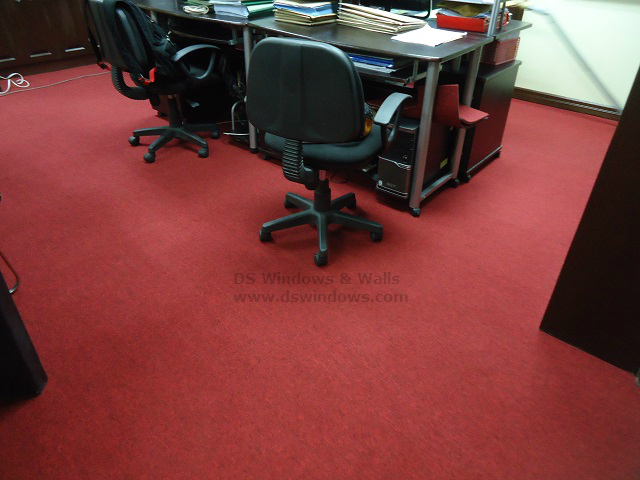 DS Windows &Walls offers different types, designs, color and texture of carpet that will perfectly match in any places. To check our samples and swatches, you can visit our shops located at 4th floor, Waltermart, Makati, 3rd floor Robinsons Metro East, Pasig City and 2nd floor Pacific Mall, Lucena City or you can visit our online gallery for carpet at gallery.carpetphilippines.com. For more information about carpet, you can email us at inquiry@dswindows.com or call us at (02) 403-3262, (02) 668-9668, (02) 893-1373, 0916-311-3909.